Letisha McFall Studio & Dauphine Bakery Bistro 10129B - 104 Street, Edmonton, AB. 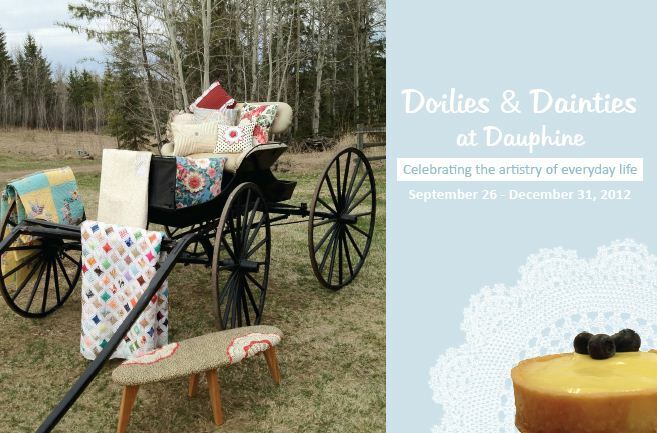 present DOILIES & DAINTIES at DAUPHINE (Edmonton) "Celebrating the artistry of everyday life." 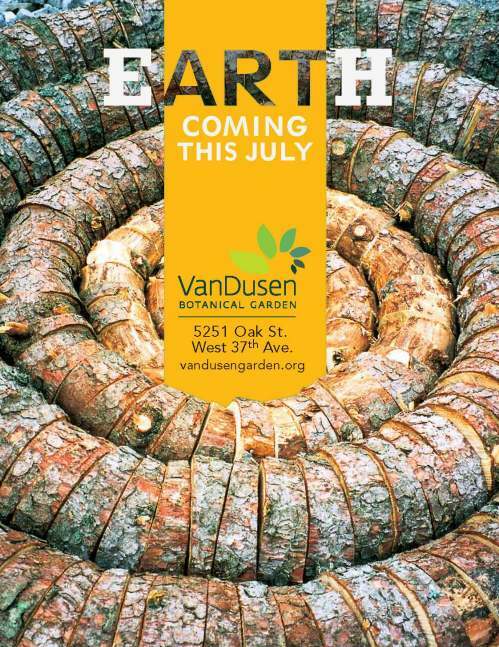 (Vancouver, BC) – This summer the earth will move at VanDusen Botanical Garden as we welcome five acclaimed international and local earth artists: Nils-Udo, Urs-P. Twellmann, Chris Booth, Nicole Dextras and Michael Dennis. Assembled by John Grande - one of the world’s foremost Earth Art curators – they will be creating sculptural works within the broad canvas of VanDusen’s 55 acres. Unlike other forms of sculpture and painting, which seek to create works of permanence, Earth Art uses organic materials taken from the landscape to create sculptures that inevitably decay over time. By its very nature, Earth Art is meant to be ephemeral, drawing the viewer’s attention to the beauty of the sculptural art, and the landscape in which it sits, through all its stages of existence. The artists arrive in mid-July to start work on a wide range of pieces, with the official opening of the show in early August. The works will then remain in situ scattered throughout the Garden. Peak viewing periods will include not just when the works are completed, but the period of extemporaneous, artist-in-action construction. More info. Visual Arts Alberta accepts submissions from Alberta artists or artists with close ties to the Alberta community. Artist groups and individuals are encouraged to apply as well as curators with specific exhibition proposals. Currently, we are accepting submissions for late 2013-2014 programming. If you are a talented artist, looking for a new venue to show your work, Rosebud may be the choice for you. Akokiniskway Gallery is currently under new management and engaged in a call for artists and portfolio submissions - we are interested in seeing your work. Akokinskway Gallery, is a fine art gallery in Rosebud, home to the well-known professional Rosebud Dinner and Theatre. This is an ideal location for all artists to show their work and get the experience of showing their work to a provincial audience. Akokiniskway Gallery is currently accepting submissions, and is sending out a call to artists from around the province, and at all stages in their art careers, to submit their portfolios for consideration. The 2013 Wearable Art Awards invites artists and designers to submit application packages for original garments to be included in the event's performances and exhibition. $5,000 CDN in prize money will be awarded. 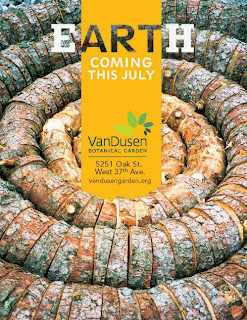 Firmly Rooted is a juried exhibition addressing our ongoing, symbiotic relationship with plants. This is an open call for works in any medium including painting, drawing, collage, photography, printmaking, sculpture, mixed media, video, fiber, and any type of non-traditional art. Artists are encouraged but not limited to submit work that address some aspect of our connection with the plant world. -topics such as consumption, environmental reclamation, invasive species, extinction, healing and medicine, stories and myth. Artist are also encouraged to submit work that adheres to their personal aesthetic and formal styles of botanical representation. Jason Pollen will be teaching a 2 day course on Salt Spring Island in October. Course description: Jason will present a keynote lecture on his work on Monday October 29th at 7:00. Open to the public, the fee for this event is $15.00 per person. This lecture is free for students registered in the retreat. October 30 and 31, 2012. In this 2 day workshop, Jason will introduce students to a lively and innovative approach to mark-making and collage using drawing and painting techniques, as well as fusing, hand and machine stitching. You will experiment, making your own fabrics and papers and combine them into engaging, communicative compositions.Full details can be found our our website. Indulge and pamper yourself with 2 days of play and pleasure in color and feltmaking. Make a nuno felted shawl or felted yardage for a top or small vest. Or you could design one, two, or more styles of your new favorite neckpieces. You will learn many tips and tricks and may study and experiment with a variety of wools and silk fabrics. Two days of fun and creativity just for you! Registration before October 7 appreciated. Interesting and Informative Sites: Send them in please! Canadian artists/sites especially, but we will share others as well, whether (fibre/textile) arts related, instructional, resources or critical thinking. Continuum/World of Threads: Graduating exhibition of 3 SDA members: Ingrid Lincoln, Judy Martin, Lesley Turner. The work was first exhibited in Middlesex University, London, UK, as a requirement for the BA(Hons) Embroidered Textiles degree. Oakville will be its second airing then it goes on the Germany in 2013, the first time the show will have an international venue. "Waterworks", an exhibit by FAN members, currently at the North Battleford Chapel Gallery, Saskatchewan, will be showing at Enterprise Square, University of Alberta , Feb 4-27 2013. SDA members in the show: arlee barr and Margie Davidson. A bit of fun with blackwork embroidery and stop animation for a music video. Warning though, the music may not be to your taste so turn your volume down first!